Jon and Vickie Price are the owners of Inspiration Fitness Health and Fitness Centre. Their aim is to support, develop and guide the membership to realise their full potential in all areas of health and fitness. Inspiration Fitness is a welcoming, non-intimidating fitness centre with a united team, focused on delivering the highest of quality training coupled with up to date knowledge. 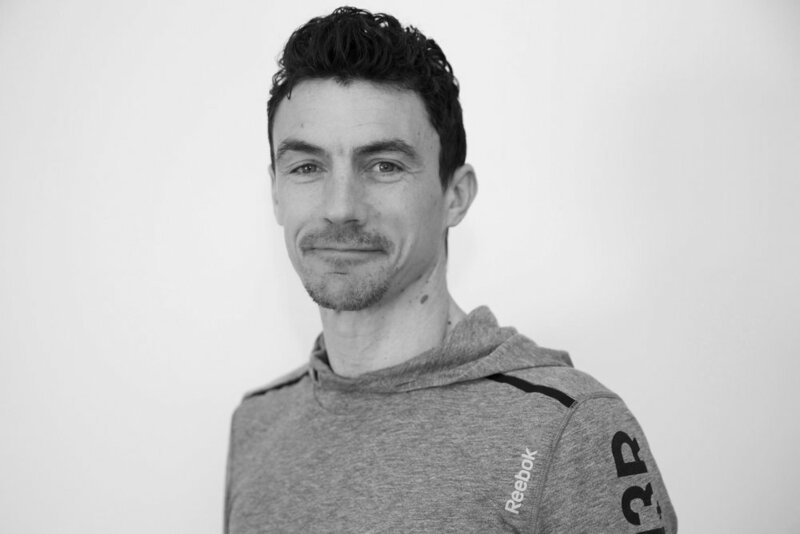 Jon is a Registered Exercise Professional (REPS) Level 3 and holds a number of professional qualifications including YMCA Personal Trainer Level 1, Triathlon Coach, NLP Practitioner and many more leisure industry and outdoor qualifications and skills. Through his commitment to his continual professional development Jon keeps abreast of the latest research and developments in fitness. This ensures that he is able to provide his clients with the most up-to-date, evidence-based training practices. As a keen triathlete and surfer Jon also applies his knowledge to his own personal training regime. “I believe that improving your core strength and stability benefits all individuals whatever their athletic ability, increasing performance and reducing the risk of injury. My approach to personal training is to motivate individuals to push themselves a little further, out of their comfort zone. I like to think outside the box to create innovative ways to exercise but at the same time have fun and achieve results”. Jon has trained top national tennis players, GB lacrosse athletes, fitness professionals and many individuals who want to improve their quality of life through improving health, mobility and wellbeing. He established his first health and Fitness business “Core Strength Training” in 2002 at Halton Lawn Tennis Club. Under his management the gym flourished and is now a well established and sought after gym environment to train in. He now aims to take Inspiration to the same level as he continues to Pursue, Develop and Grow individuals, teams and businesses to be the best they can be. Vickie is the Office and Facilities Manager. At Inspiration Fitness we believe that the total gym experience goes a long way towards motivating you to be able to maintain a balanced approach to improving your physical health. We are firm in our belief that the gym environment should be welcoming to everyone, regardless of age, aims or ability. We promote the sense of belonging – a space you can enjoy and where you can thrive. Andrew will ensure that you get the very best from each and every workout. No matter whether you are a beginner needing guidance on where to start your fitness journey or you lack confidence and/or motivation and require expert advice with a tailored fitness program. Andrew can provide that extra attention, support, encouragement and guidance needed to help you achieve your personal goals. Andrew is very passionate about keeping fit and healthy and participates in many various challenges around the country throughout the year. With over 13 years of experience Andrew has a wide variety of training techniques at his disposal. Primal Flow, Kettlebells and Run Coaching are just a few. If you are looking for a Personal Trainer to get you prepared for an event, require help with rehabilitation through injury, want to look amazing for years to come or want to commit to leading a fitter, healthier lifestyle why not contact him now for a free taster session and see what you are capable of achieving. Judith has over seventeen years experience in the fitness industry, starting off as an Exercise to Music Instructor and then adding disciplines throughout her career. She is passionate about health and fitness whether that is achieved within the gym environment or doing outdoor activities. She has five years experience as a Pilates Instructor and is extremely passionate about it. The training opened her eyes to the benefits of Pilates – not only it’s benefits for health and fitness but also rehabilitation. Judith uses her extensive knowledge to drive and inspire her clients to achieve their personal goals whilst promoting a healthy body and mind. Caitlyn is a Personal Trainer and Group Class Instructor at Inspiration Fitness and can help you on your way to fulfilling your fitness goals and aspirations. She caters to all clients regardless of age, gender or ability. Having completed her training in London, then working within an all females facility for over four years she prides herself on being enthusiastic to help clients overcome personal barriers and embrace new and exciting challenges. Caitlyn has a well-rounded approach to training, believing individuals will thrive through utilising their strengths and identifying and then improving weaker areas. She regularly practices Interval Running, Plyometrics, Insanity, yoga, Ballet, Contemporary and Weight training to keep her own fitness at its optimum. Alongside this she also attends numerous courses and CPD throughout the year to keep her knowledge fresh and up to date. Abi is a group fitness instructor, passionate about delivering a fun and effective workout. Abi has over 10 years experience teaching group exercise and is qualified in many disciplines including spinning, bodypump, Pilates and body combat. Abi is also a qualified trainer and assessor and has worked in partnership with the KTA who can deliver a variety of fitness industry courses, so if you are interested in adding extra fitness qualifications to your belt or have an interest in qualifying to become a gym or ETM instructor then get in touch.